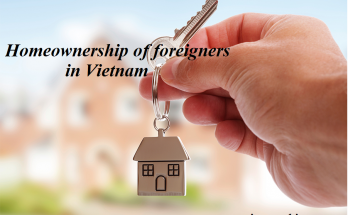 Over view Procedure of establishing representative office of foreign business organization in Vietnam is according to Decree No. 07/2016/NĐ-CP and Circular No.11/2016/BCT. Fees for processing of their applications for the license to establish representative offices in Vietnam is in accordance with 143/2016/TT-BTC. The order of execution 1. The foreign trader shall submit the application to the licensing agency where the representative office is expected to be located directly or by post or online (where applicable) . 2. Within 03 working days from the date of receipt of the application, the licensing agency shall examine such application and request the applicant to complete the application (if the application is incomplete) . 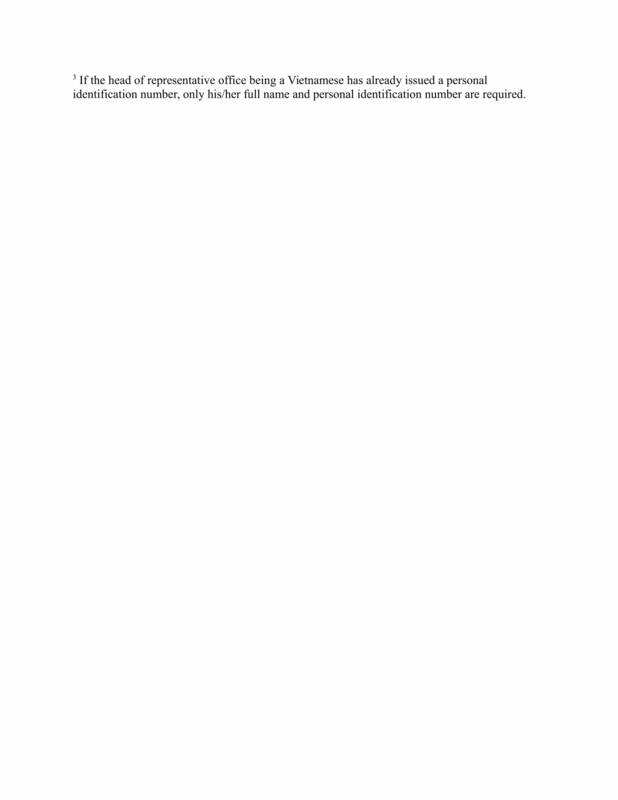 The request for supplementation to the application shall be made only once during the processing of such application. 3. 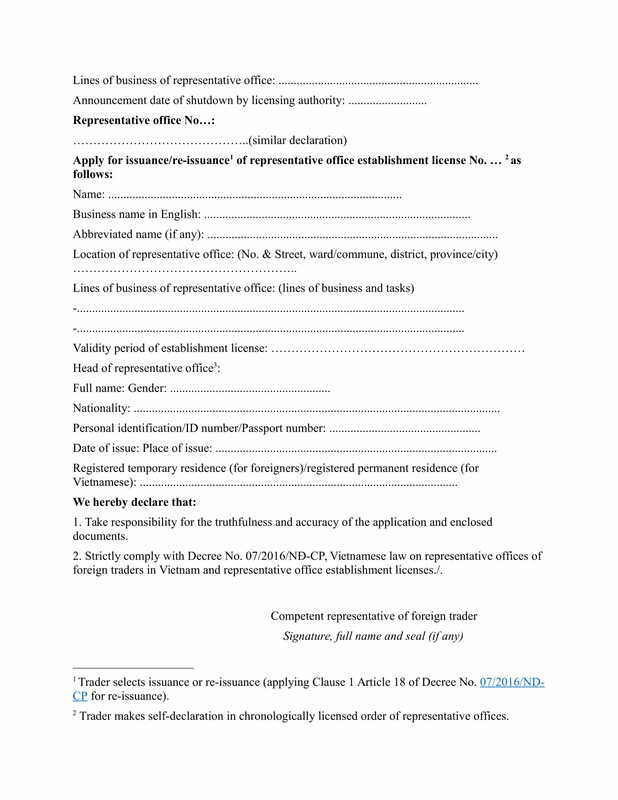 Apart from those specified in clause 4 of this Article, the licensing agency shall send the applicant a written notification of whether the license or establishment of the representative office is granted or not within 07 working days from the date of receipt of the valid application. In case of rejection, the licensing agency shall send the applicant a written notice in which reasons for rejections shall be specified. 4. 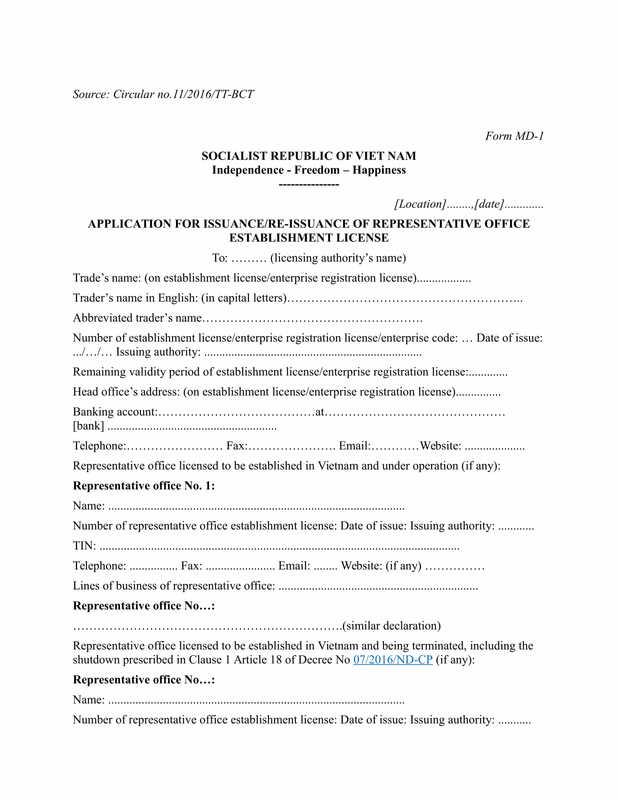 For those specified in clause 5, Article 7 hereof and the establishment of representative offices that has not prescribed by specialized legislative documents, the licensing agency shall submit a written request for directions to the relevant Ministry within 03 working days from the date of receipt of the valid application. Within 05 working days from the date of receipt of the request for directions from the licensing agency, the relevant Ministry shall submit the licensing agency a written notification of whether or not they approve for the application . Within 05 working days from the date of receipt of the notification from the relevant Ministry , the licensing agency shall send the applicant a written notice of whether the License for Establishment of the representative office is granted . In case of rejection, the licensing agency shall send the applicant a written notice in which reasons for rejections shall be specified. b) Re-issuance, modification or renewal of license: VND 1,500,000 (one million and fife hundred thousand)/an application. 5. 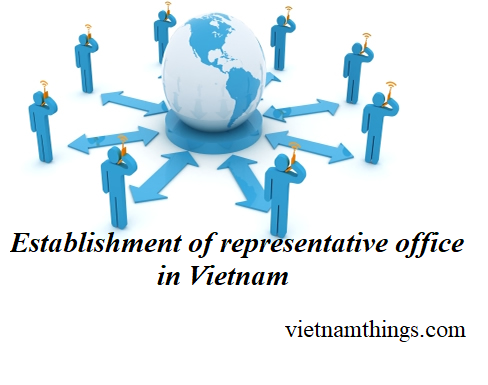 Where the scope of operation of the representative office is inconsistent with Vietnam’s Commitments or the foreign trader is not located in the country or territory being party to treaties to which Vietnam is a signatory, the representative office can be established only if relevant Ministers, Heads of ministerial agencies (hereinafter referred to as “relevant Ministers”) have given approval for establishment of the representative office.